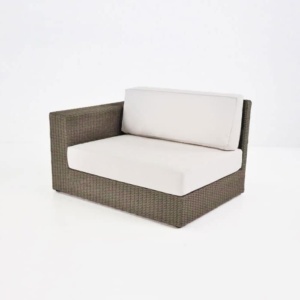 Generous, modern and extremely versatile; the Austin Wicker Outdoor Sectional Corner Chair can be interspersed between the Austin Centre and Sectional pieces or tucked into a corner for a little section of heaven! 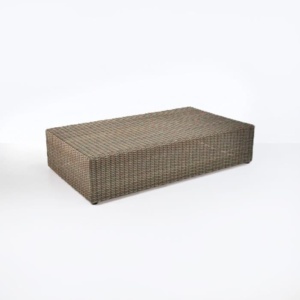 The Austin Wicker Outdoor Sectional Collection is our most expansive wicker collection yet. 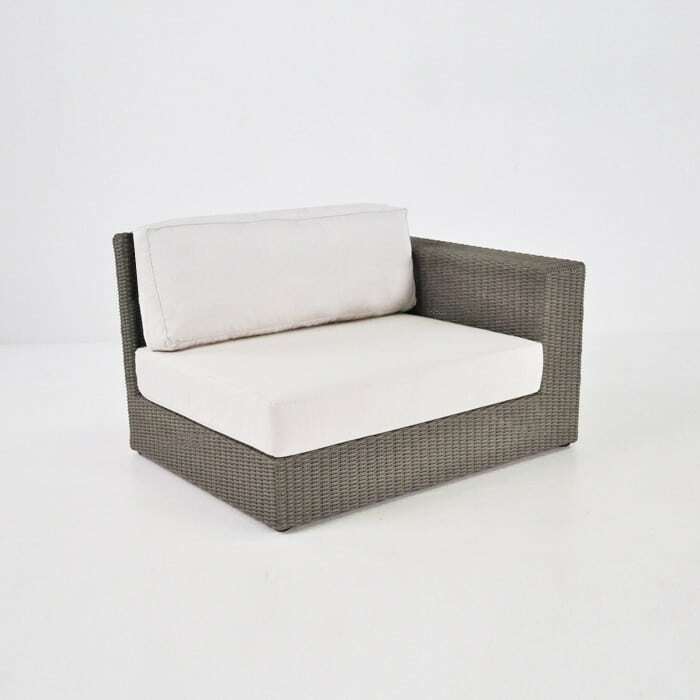 Infused with modern, chunky style in the frame; offset by an incredibly cushy cushion; this is an Outdoor Sectional collection that is practically running out the door!! 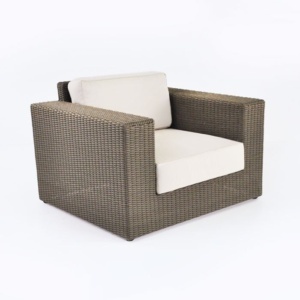 Thinking of filling a smaller space but still want an abundance of comfort and style? Why not place two Austin Corners next to each other for the perfect sweethearts loveseat? The Austin Corner screams versatility. Wish to host large gatherings? Make a beautiful ‘C’ shape shape with the Austin Corner at each end of two Austin Centres, and an Austin Left and Right Sectional on either side. Place two Austin Coffee Tables together for a bold look that you will love to layer all your favourite drinks and nibbles on. 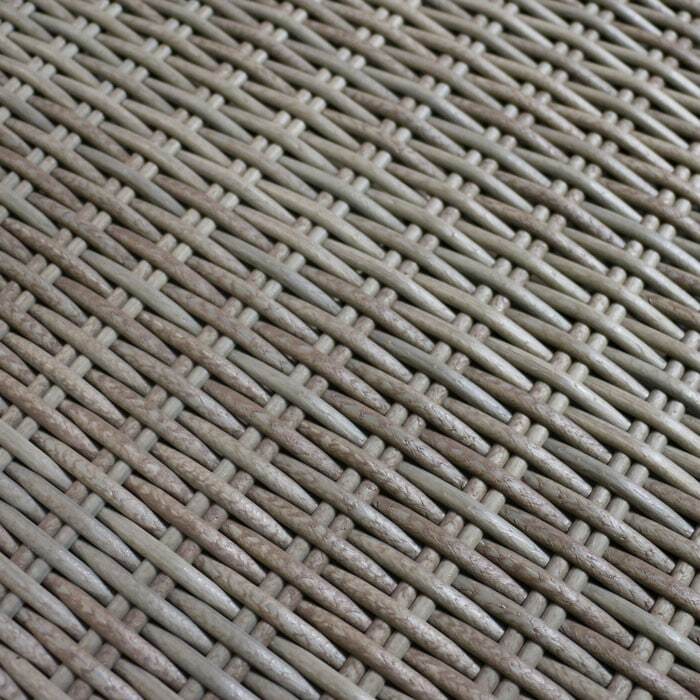 Made of the finest materials suitable for the outdoors; the Austin Collection is comprised of Viro ® wicker with a strong aluminium frame, and garnished with rich Sunbrella ® cushions filled with the indispensable QuickDry® foam; exceptional quality that ensures a long lasting piece that you will enjoy for years to come. 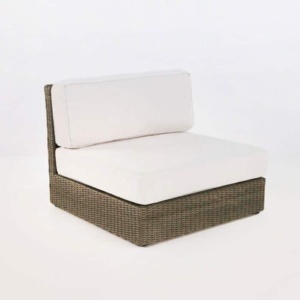 The Austin Seating Collection comes with FREE Sunbrella® cushions! 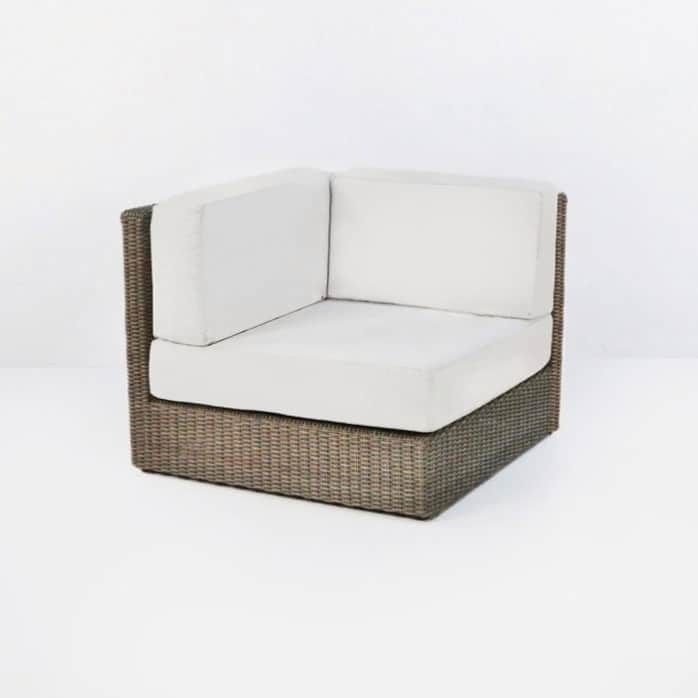 The Austin Seating Collection, including this Outdoor Sectional Corner Chair, is available in Antique Java and Kubu coloured outdoor wicker.